The sounds of jazz and swing will fill The Tremont House, A Wyndham Grand® Hotel, during its 30th Annual Mardi Gras Ball & Parade Viewing Party on March 1, 2014. The Tremont House invites guests and community members to its “Pearls and Prohibition” celebration, where artful décor --coupled with music by retro-swing band Poppin’ Daddies, jazz vocalist Danielle Reich and the renowned Dr. Michael White Jazz Quartet -- will transport revelers back to Galveston’s glory days of great music, speakeasies and glamour. As guests arrive, they will be greeted with hors d’oeuvres and Prohibition Era-inspired cocktails accompanied by one of Austin’s top jazz and swing singers Danielle Reich. Reich, whose debut album “This Year’s Kisses” was described as “an impressive new voice on the jazz scene” by All About Jazz, will entertain guests in the lobby until the Knights of Momus Grand Night Parade approaches the hotel. Back by popular demand, Dr. Michael White and his Jazz Quartet from New Orleans will perform in the Sam Houston Ballroom as ball goers enjoy a sumptuous dinner buffet. White’s clarinet, a legend in the Jazz community, can be heard on Wynton Marsalis’ album “The Majesty of the Blues” and Wynton is on White’s album “Crescent City Serenade” along with musicians Wendell Brunious and Walter Payton. 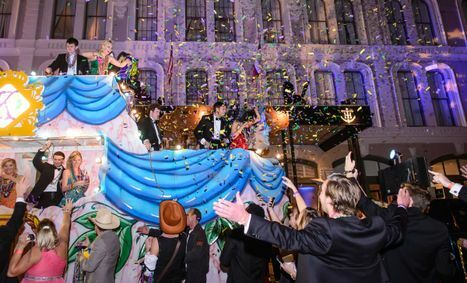 VIP viewing of the Knight of Momus Grand Night Parade, which passes directly in front of the hotel, precedes the revelry in The Tremont Ballroom with music by retro-swing band Poppin’ Daddies. The Poppin’ Daddies debuted in 1997 with the swing compilation “Zoot Suit Riot,” which sold over two million copies in the United States and became a radio hit. Known for their mix of swing and ska with modern rock and pop influences, The Poppin’ Daddies released their sixth album entitled “White Teeth, Black Thoughts” on July 16, 2013. 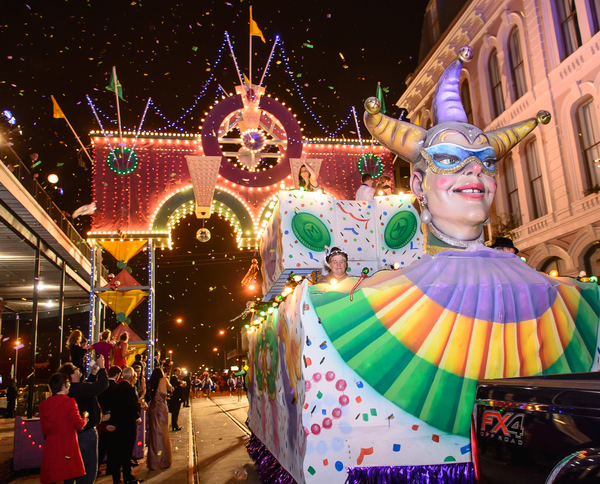 The Tremont House Mardi Gras Ball begins at 6:00 p.m. and offers music, dinner, dancing, an open bar, VIP parade viewing and concludes with a midnight breakfast buffet. Attendees are encouraged to dress in Prohibition - and 1920s glamour- inspired dress. Ball tickets are $200 per person and can be purchased online at www.Galveston.com/MardiGrasBall or by calling The Tremont House, A Wyndham Grand® Hotel, at (409) 763-0300. For those looking to extend the celebration, the hotel’s two-night Mardi Gras Ball weekend package starts at $1,078 and includes performance by the Dr. Michael White Jazz Quartet on Friday, February 28, two tickets to the Ball on Saturday, March 1, continental breakfast on Sunday, March 2 and complimentary valet parking. Hotel guests also will receive a commemorative Tremont House Mardi Gras Bead as well as other party gifts and souvenirs for the weekend. Weekend packages can be booked online at www.WyndhamTremontHouse.com under special offers or by calling the hotel directly at (409) 763-0300.